Horizontal, crystal clear page, 1 pocket. For stock certificates. Package of 5. 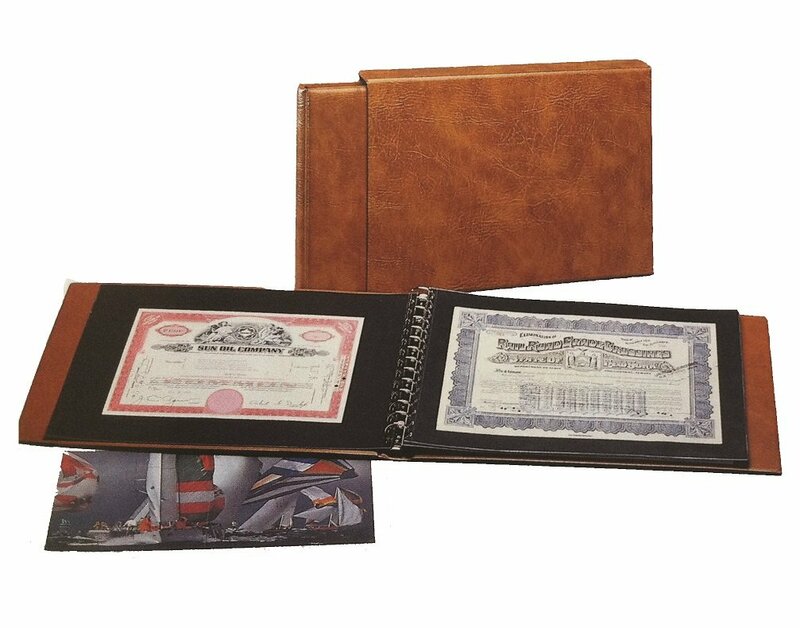 Transparent, horizontal page for large sheets, stock certificates, bonds, documents, ephemera and other large paper memorabilia. Polyester pages allow you to see both sides of your item, with pocket/strips on one side. Supplied with archival, black cardboard interleaves that are 14-hole punched to separate clear pages. F ive (5) pages per package.